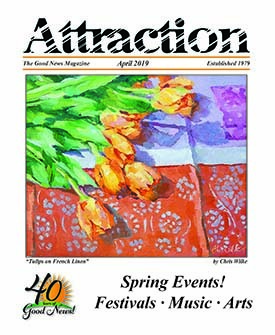 St. Michaels Art League is pleased to presents a workshop entitled Textural Variations in Landscape Painting (Pastel and Oil) with Lisa Mitchell on May 10, 11, 12 from 9 a.m. to 4:30 p.m. at the Calhoon MEBA Engingeering School, located at 27050 St. Michaels Road, Easton. Fees are members $395; non-members $435. This workshop is designed for both Pastel Artists and Oil Painters and is a unique opportunity to study with talented painter and instructor Lisa Mitchell. Oil painters will learn to use a variety of brushstrokes, thicknesses of paint and painting knives to create the illusion of texture on the painting surface. Pastel painters will experiment with under painting. They will use the painting surface, the pressure of the pastel stick and mark to achieve textural contrast. Lisa Mitchell received her formal art education at the Maryland Institute College of Art in Baltimore. After a 20-year career painting children’s portraits, Lisa now focuses primarily painting landscapes in oil and pastel. 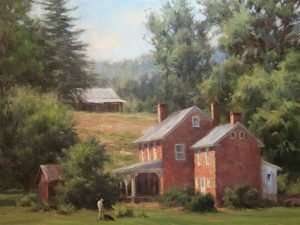 She is a member of the Washington Society of Landscape Painters, a Signature Member of the Maryland Society of Portrait Painters and a member of the Mid-Atlantic Plein Air Painters Association, Oil Painters of America. Lisa has won numerous regional awards for her pastels and was juried into the 2009 National Plein Air Easton Competition. This program is funded in part by a grant from the Talbot County Arts Council with revenues provided by the Maryland States Arts Council. For more information, visit www.smartleague.org or call Judy Bittorf at 410-745-9004.